Here is a classic title that you can ride straight on into the weekend. Yesterday, SEGA released Hell Yeah! 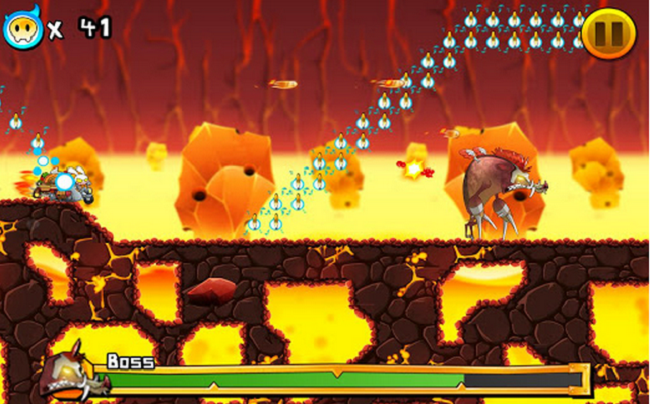 Pocket Inferno for Android, a title that has seen some success for iOS devices. In Hell Yeah! you play as Ash, a bunny prince from Hell, who uses powerful weapons and ugly masks to defeat even uglier monsters. The game features 60 levels where this evil bunny must collect coins and defeat over 30 different monsters, all while trying to upgrade his rockets with different powers. Sounds like some pretty intense gameplay for just $0.99.